Malta is perhaps a happy exception to the rule where a tax haven can have a certain stigma attached to it. We have seen several depictions of the island hideaways in films and other portrayals where the bad guys run away to an island paradise to hide their ill-gotten cash and to escape from the taxman. Malta combines an incredibly alluring climate with state of the art facilities for business which really makes it something special. It also quite a cost effective place to set up your company since business costs are quite low and the standard of living although relatively high is definitely not that expensive.One of the main benefits of setting up in Malta is the country’s legal system which is based on Roman law and which has now also incorporated most European Union common law under what is known as the aqcuis communiatire. Malta is also a signatory to the Schengen agreement which allows document free travel within the borders of the European economic Area as well as the European Free Trade Association. This means that travel from these countries is visa free and thus very efficient and easy. Visa travel for those persons who reside outside of the EU is also not that complicatedMalta is also a member of the Euro which brings with it added benefits of being part of a single European currency which translates into considerable savings when the elimination of foreign exchange is taken into account. Malta is thus an ideal place to set up a trading company which can benefit from these substantial savings.Malta company law is in exact conformity with EU directives and with the Companies Act which was made law in 1995, there is a wide range of options available when setting up a company. The preferred company is the limited liability Maltese company and apart from being a separate legal entity also allows those shareholders who want to invest their capital in Malta to do so either through a private or a public vehicle.A company may be incorporated in Malta with a minimum of just two shareholders if it is a private or public company however if the company is a private limited liability vehicle then only one shareholder is required. However this shareholder cannot be a corporate entity if it is also a director in the Maltese company. Additionally the objects clause is restricted to just one activity which is a main one.The Companies Act also allows the formation of partnerships which are of two kinds. One of the partnerships may include one unlimited partner as well as other limited partners whilst the other can be just an unlimited partnership. There is also a minimum amount for authorised and issued share capital which is EUR 1165 for private companies and EUR 46,590 for public companies. Private companies must have 20 per cent of this as paid up capital while public need to have 25 per cent paid up. This capital may be in any currency and there are no exchange control restrictions imposed either which makes it easier for Maltese corporates to conduct international business. The exchange risk is also much less since the company’s income tax is paid with the same currency of the capital. Tax refunds are also in the same currency.There are a number of documents which have to be submitted when setting up a company in Malta. The documentation includes the following:Memorandum and Articles of Association, personal and identification documents of the shareholders and the relative proof that the share capital has been deposited accordingly. It is important that the M and A are all signed by the subscribers or their legal advisors. It is thus possible to set up a company without coming to Malta at all and the registration is quite a speedy process. In fact once all documents are submitted to the Companies Registry, the company registration usually takes not more than 24 hours.The fees for the registration of a company in Malta are also not that onerous. The fee to register a company ranges from a minimum of EUR 350 up to a maximum of EUR 1750. 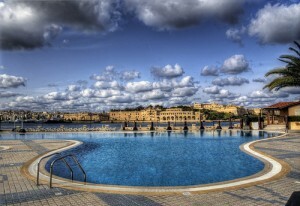 There is also an annual registration fee which is also payable to the Registry of companies which ranges from EUR 165 for a company which has a share capital not more than EUR 1165 while the maximum fee is EUR 979 for companies whose share capital exceeds EUR 1,164,686.Malta is also well equipped on the trusts side with an excellent trustee regime which enables shares in Maltese companies to be held by licensed trustees as fiduciaries on behalf of the company’s subscribers. A Maltese company must appoint at least one company secretary as well as one director. This director may also be a corporate entity but the company secretary has to be an individual person and this person cannot be a director in the company.Current legislation allows for board meetings to take place via video conferencing or some other communication method and need not physically be held in Malta. Additionally it also possible not to hold meetings at all if this is agreed by the shareholders and the necessary resolutions are signed.Maltese incorporated companies must also submit an annual return with the fee payable on the same date that the return is submitted. The audited financial statements of the company must also be presented to the Registry of Companies after they have been laid down and approved during the company’s annual meeting. There is also the option to have a financial year different to 31st December although the first term may not be shorter than six months or more than 18 months. Accounts may be submitted for up to ten months after the ending of the financial year for private companies and seven months for public companies. These accounts must obviously be presented according to the rules and regulations of the Companies Act.The law also allows companies to move their domicile to and from Malta with those companies which decide to do so having to come from a country which allows the change of domicile. This also enables the transfer of domicile without having to liquidate companies and enter into unnecessary expenses. A Certificate of Continuation must be presented to the Registrar of Companies alongside with evidence that the company no longer exists in the other jurisdiction.